National Agency for the Prohibition of Trafficking in Persons (NAPTIP) has uncovered plot by some “fake” travel agencies and football supporters’ club to traffic Nigerians to Russia for the 2018 FIFA World Cup. The agency said that in spite of new strategies of the traffickers, its systems and strategies have continued to pose a block on the operations of the traffickers. 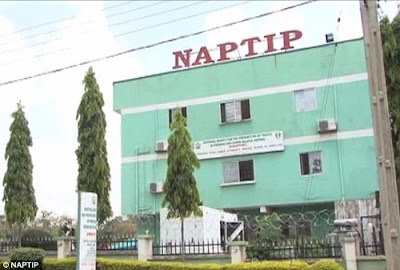 NAPTIP Director-General, Julie Okah-Donli, told Journalists at a press conference in Abuja, on Monday, that the traffickers have floated unrecognized youth bodies as platform to collect money from victims to ferry them to Russia. She said the traffickers have arranged with their cohorts in Europe to facilitate the disappearance of the “successful” victims out of Moscow to other destinations in Europe. She highlighted a case of an unnamed girl in one of the southern states who reported to NAPTIP that a Moscow-based trafficker has continued to mount pressure on her through her parents in order to traffic her to Europe via Russia. The NAPTIP boss urged parents to beware of persons coming with “mouth watering” promises of better life for their children abroad especially this period of FIFA World Cup in Russia. “Yielding to such undue pressure and deceit is like sending children to early grave. Russia is a country with high record of human trafficking and many Nigerians held up there and are seeking assistance to return home. “Their stories are full of pains and agonies with few of them permanently incapacitated for the rest of their lives,” she said.